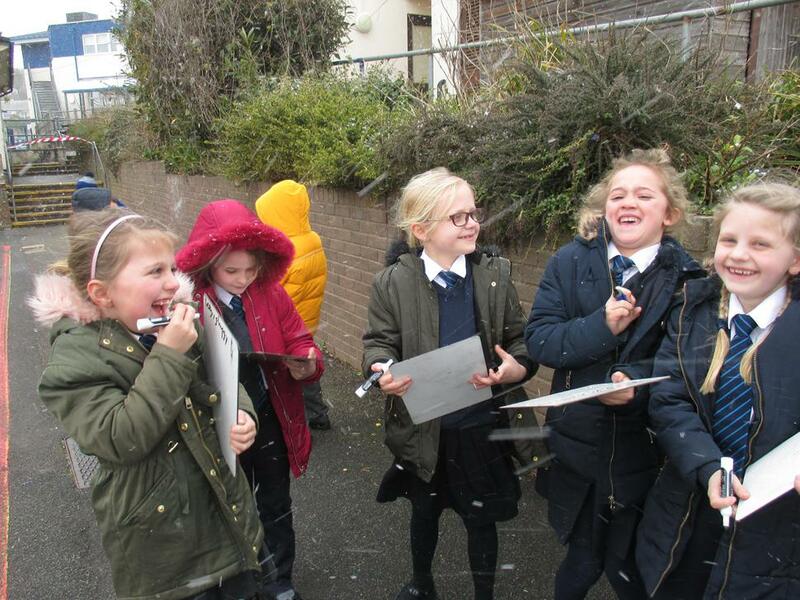 Today (28.02.18) it snowed... if you didn't notice! 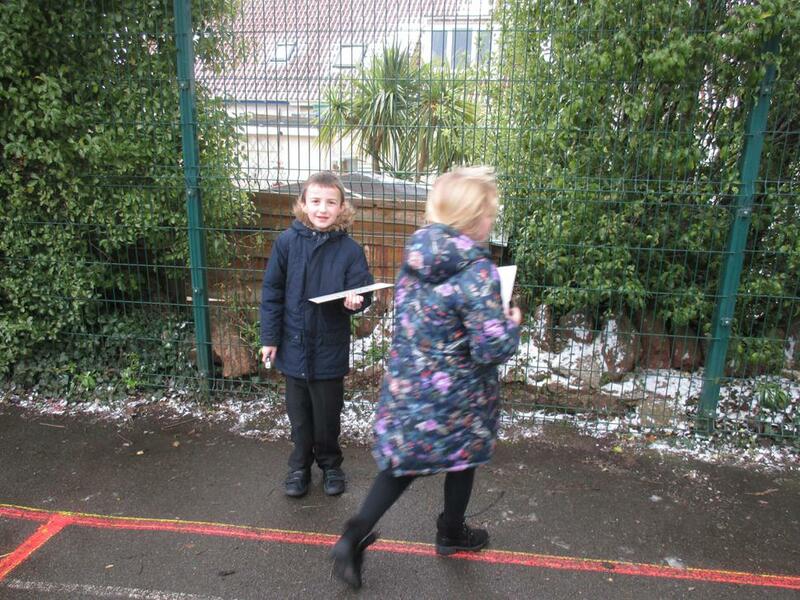 We were so excited as it was the first time a lot of us had ever seen proper snow. 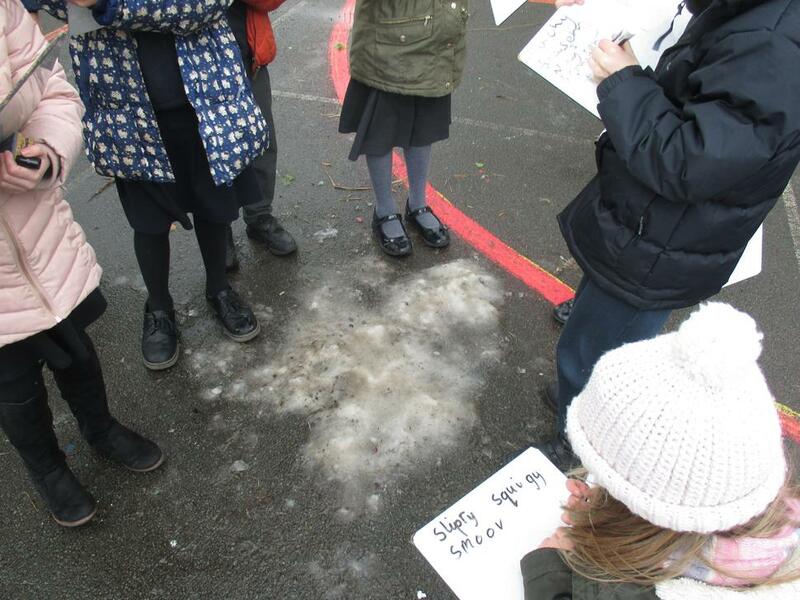 By lunchtime we had used most of the snow to make snowballs. 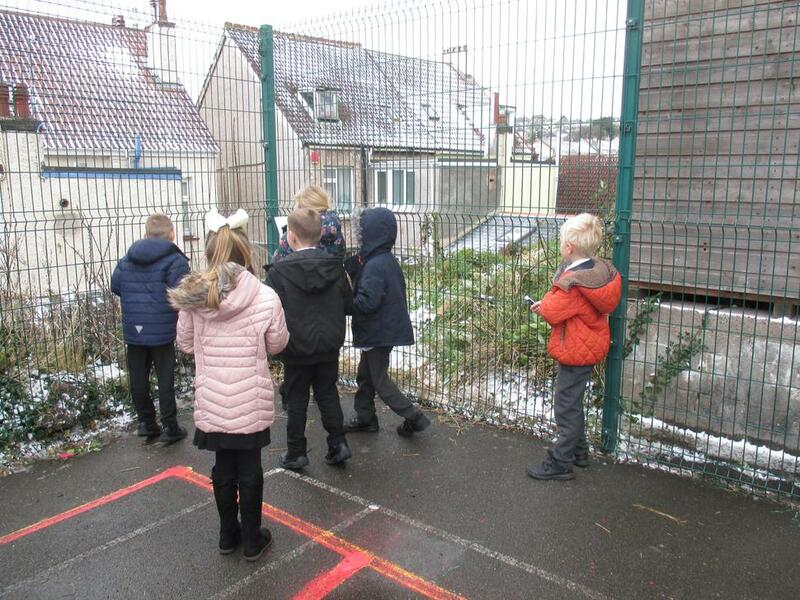 Our hands were freezing by the time we got back into class, but then Miss Derby had a surprise for us because she wanted to see the snow too! 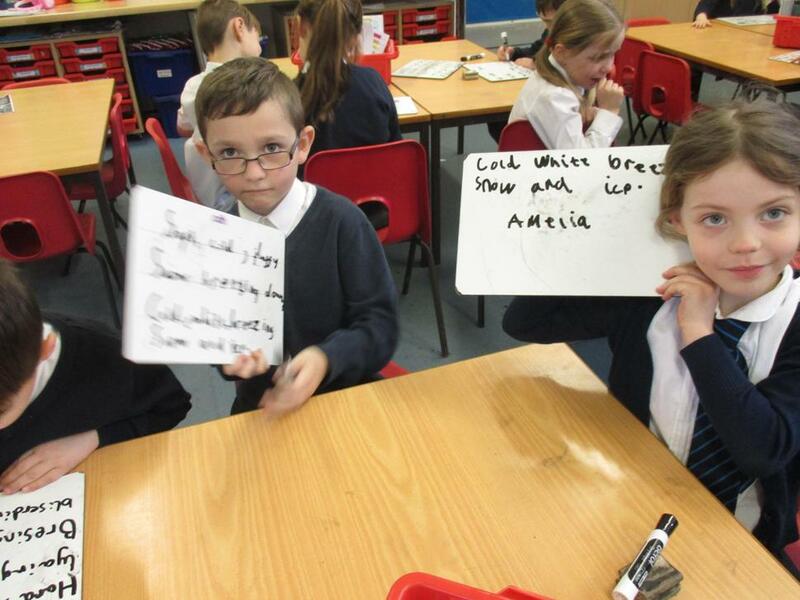 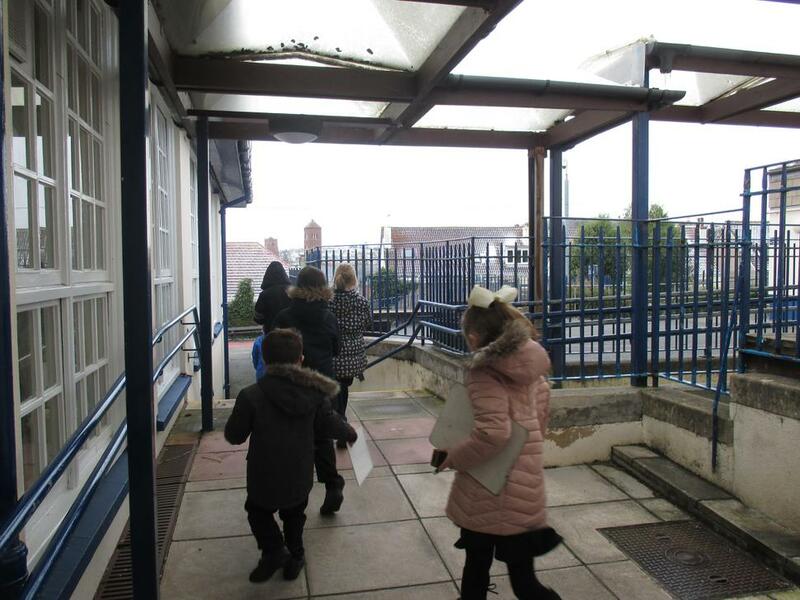 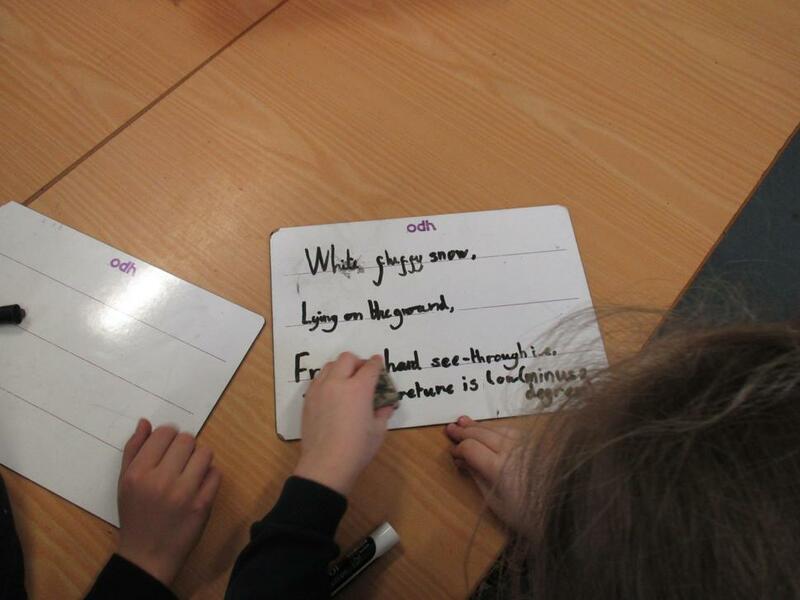 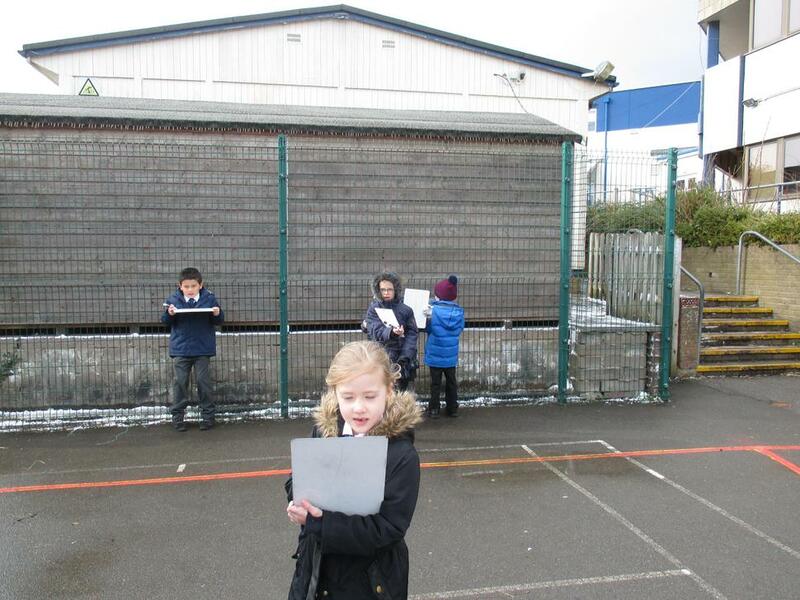 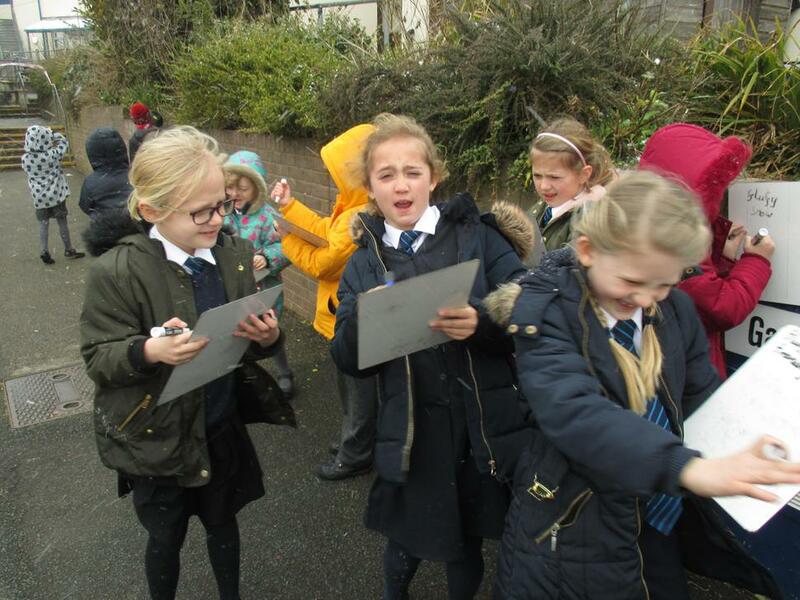 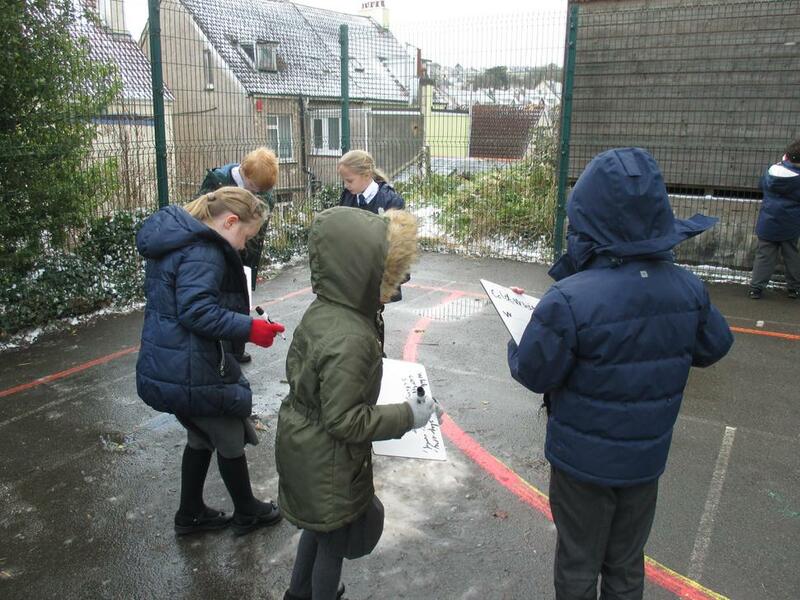 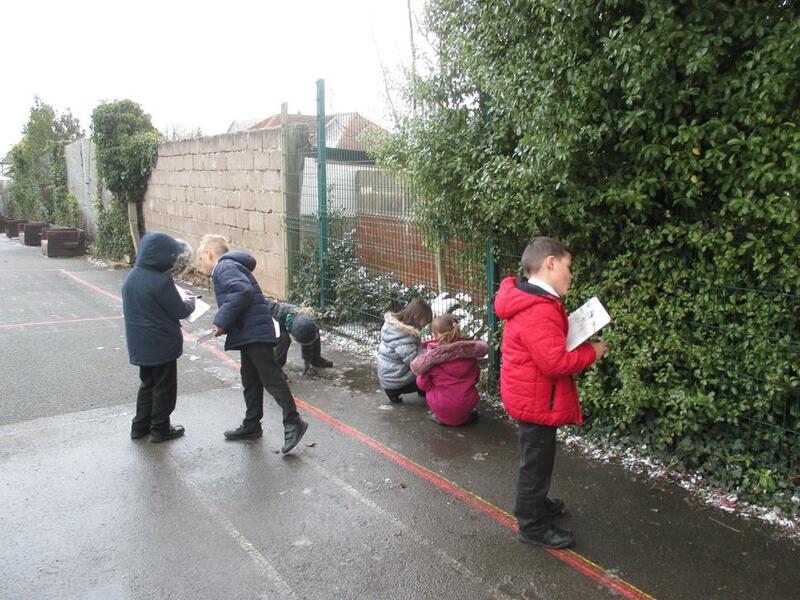 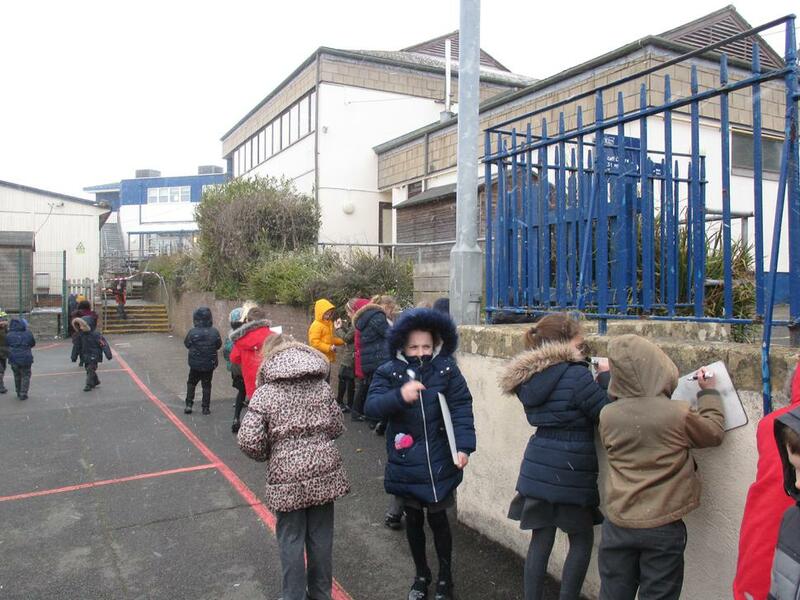 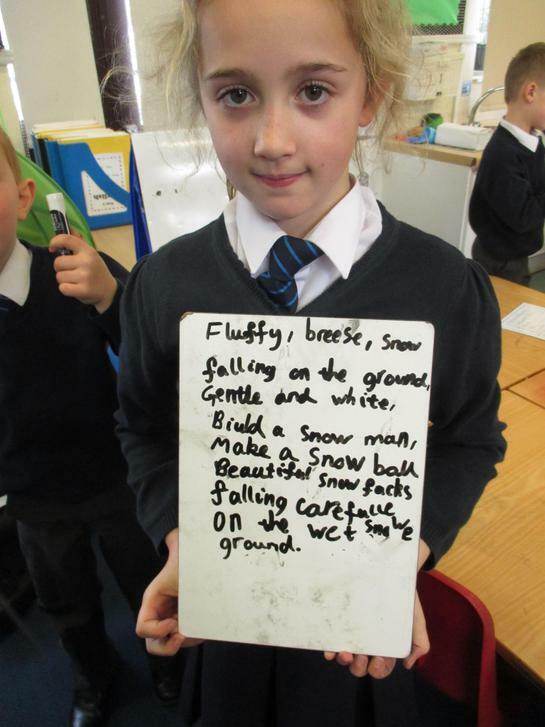 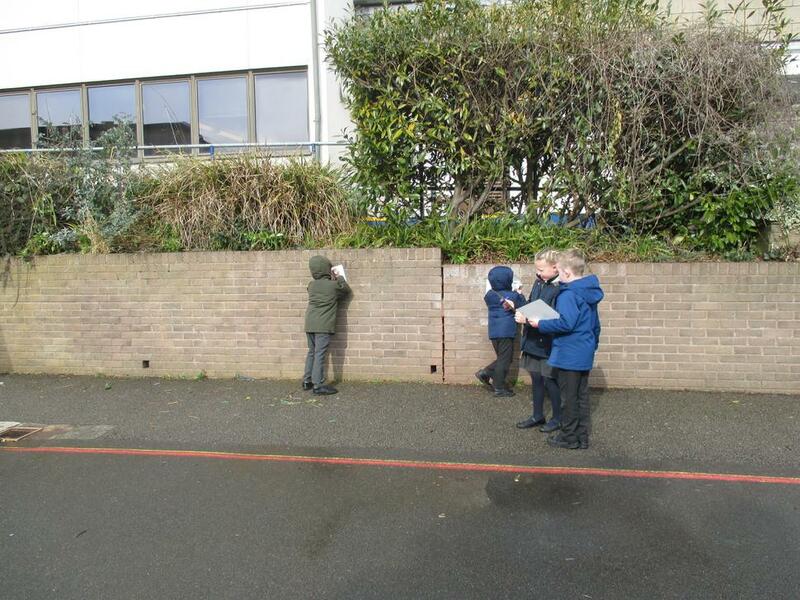 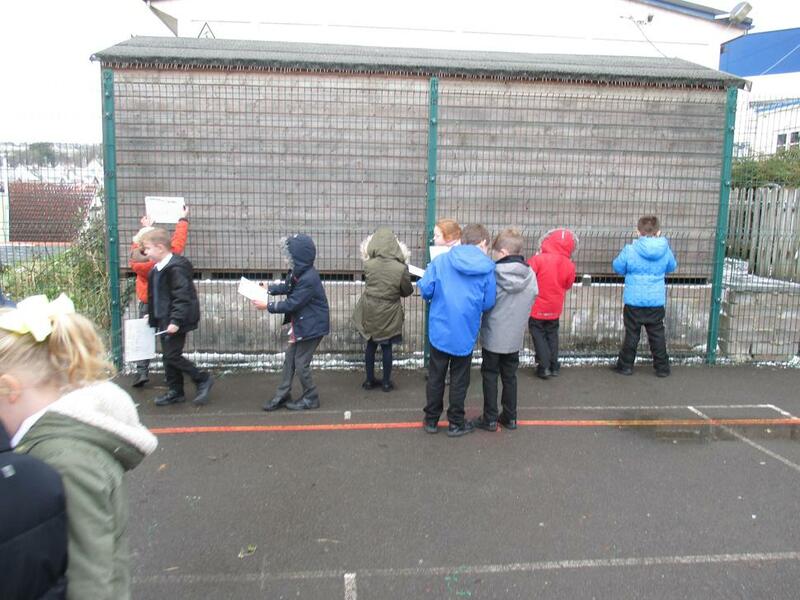 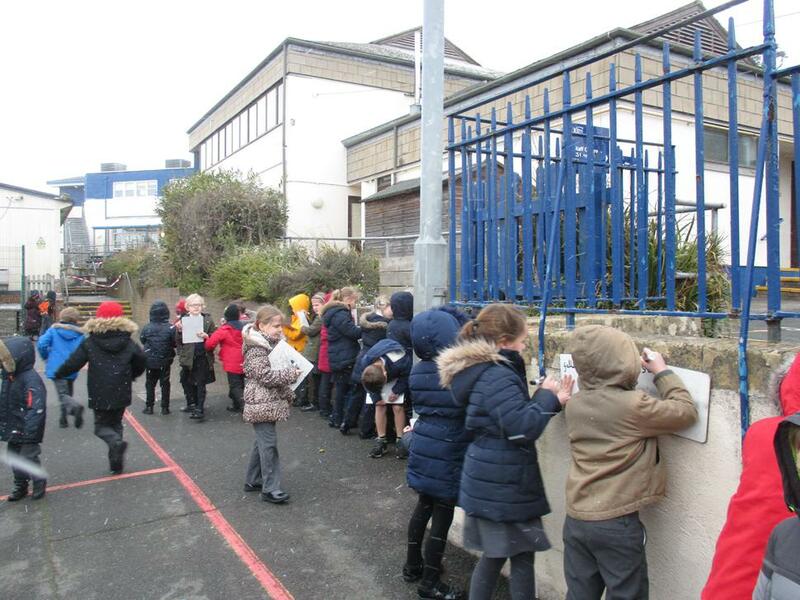 So, class by class, we all went outside to write down some exciting words to describe the snow. 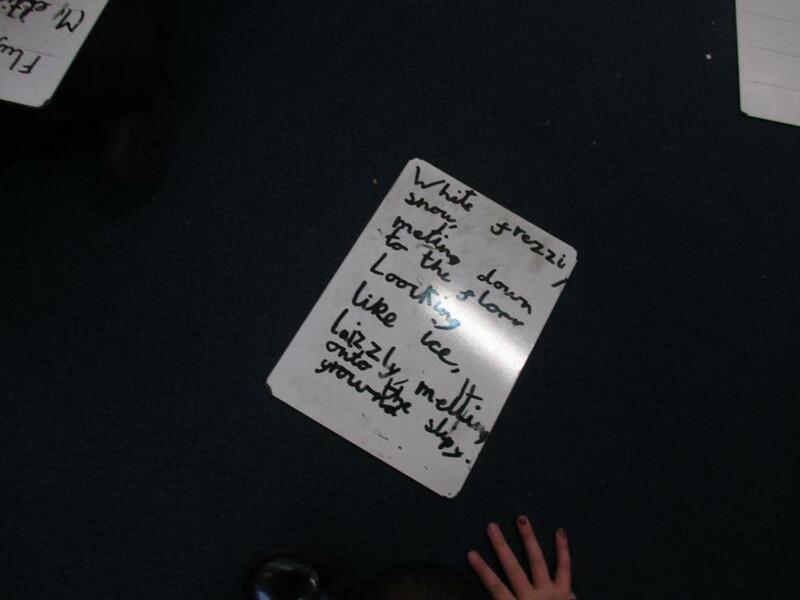 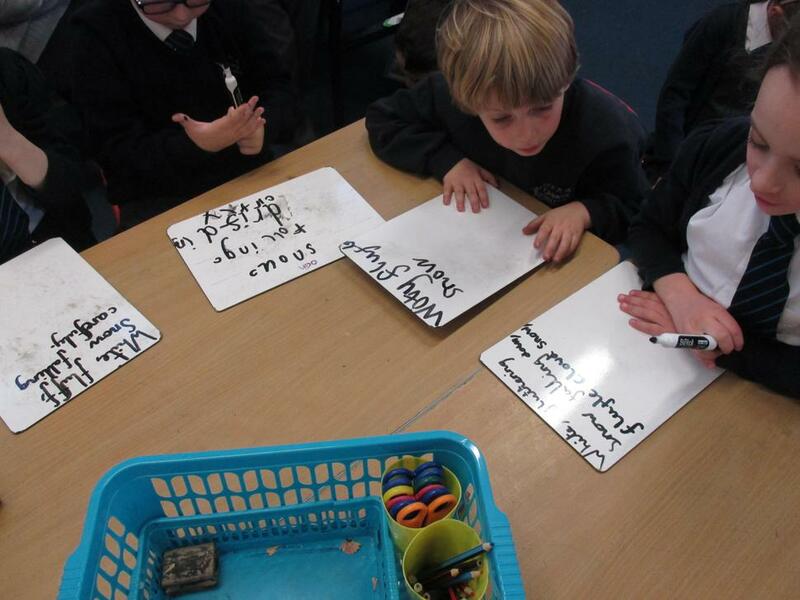 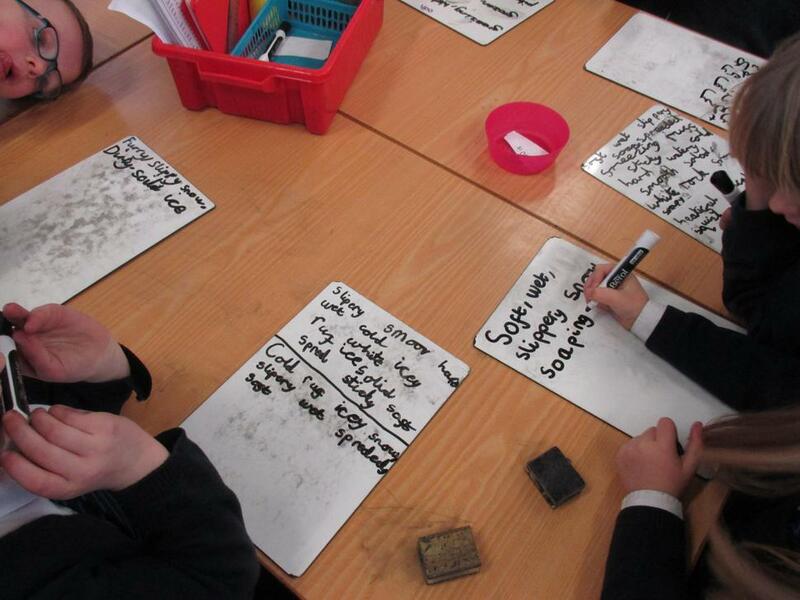 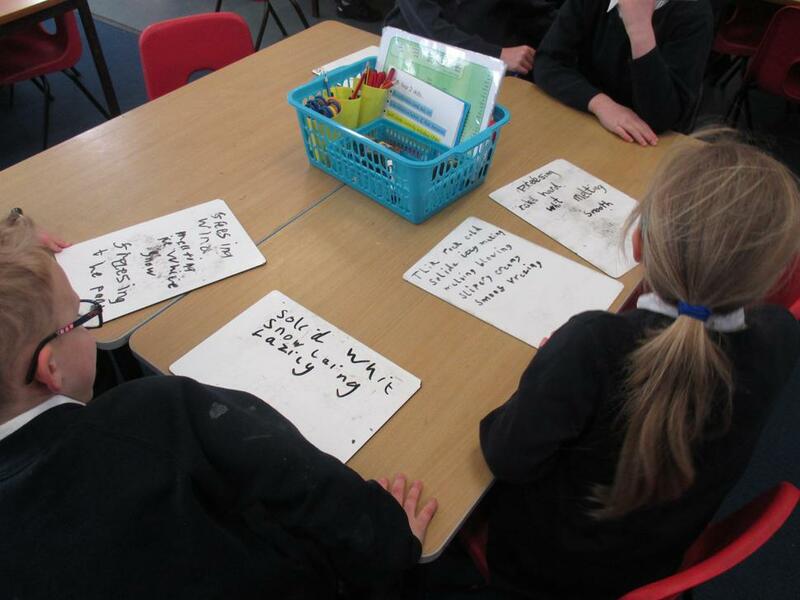 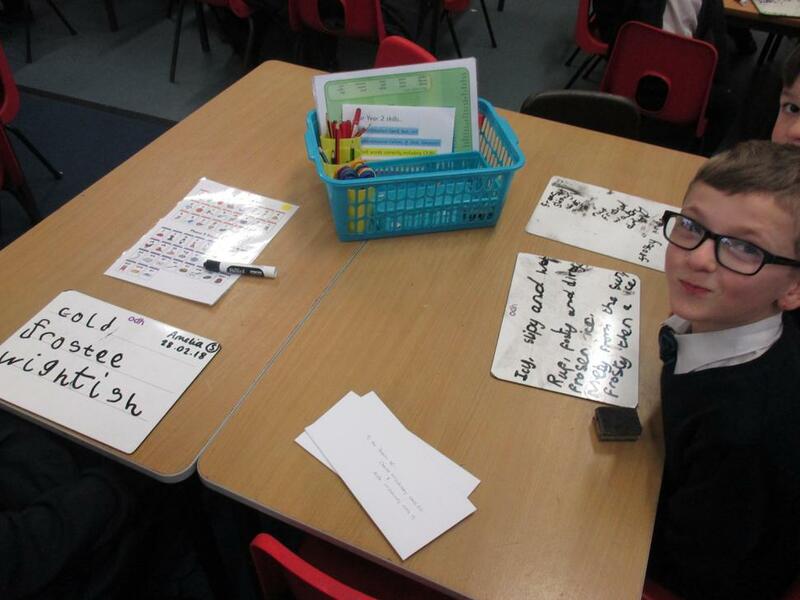 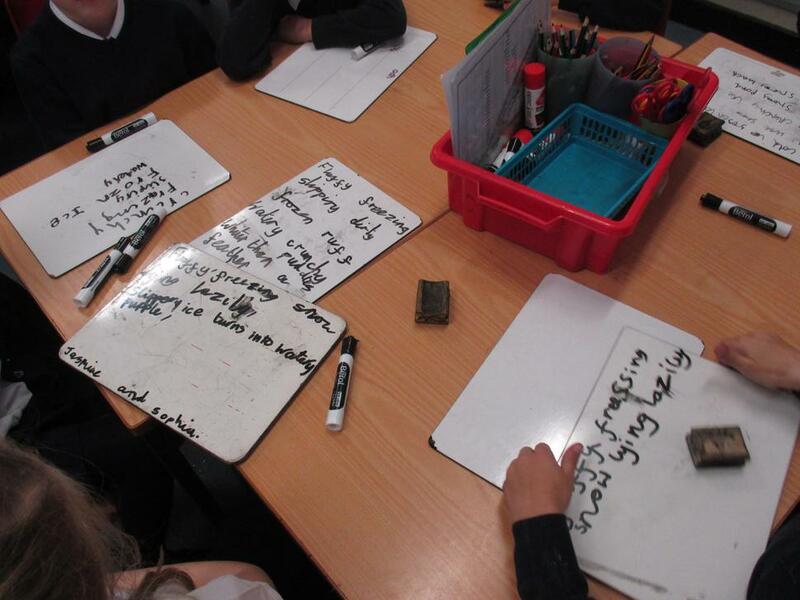 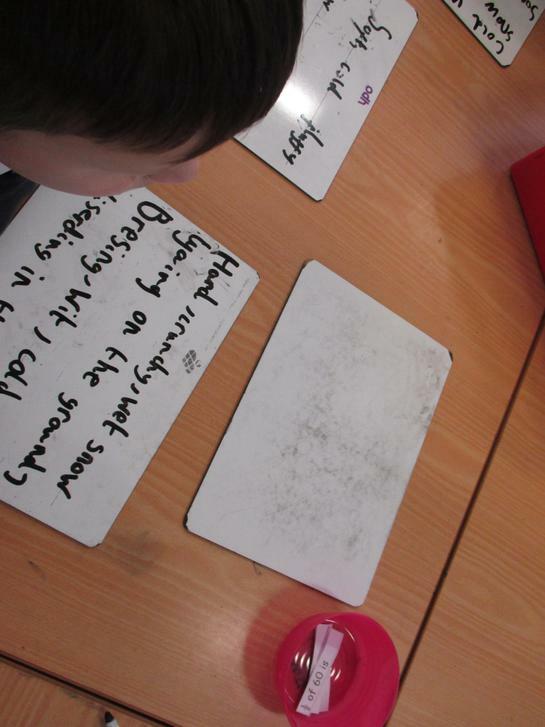 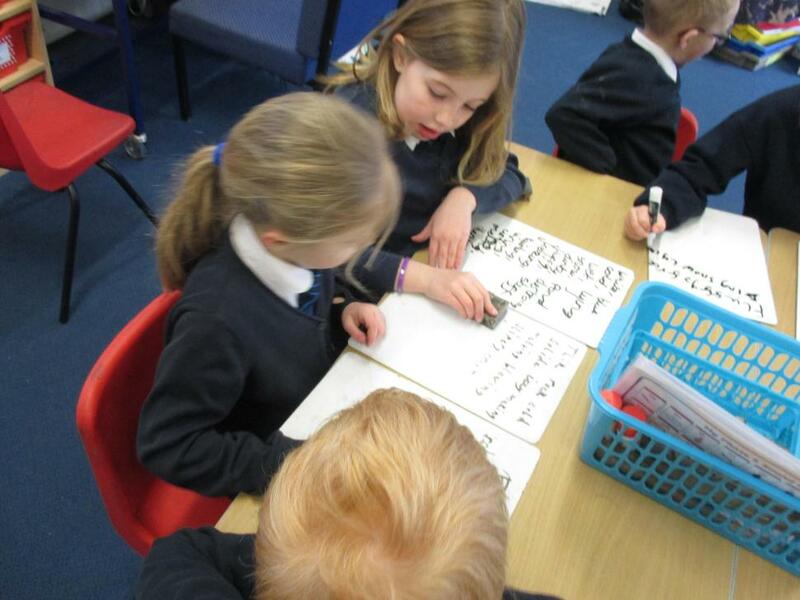 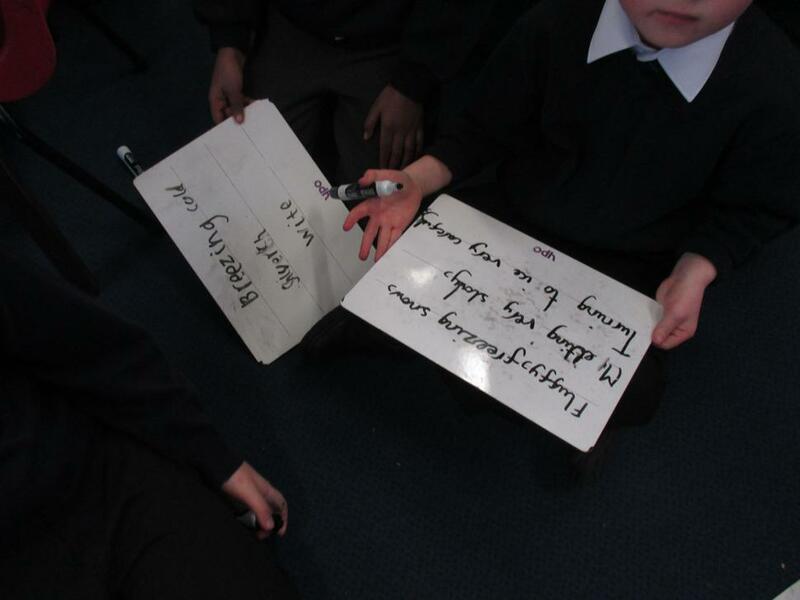 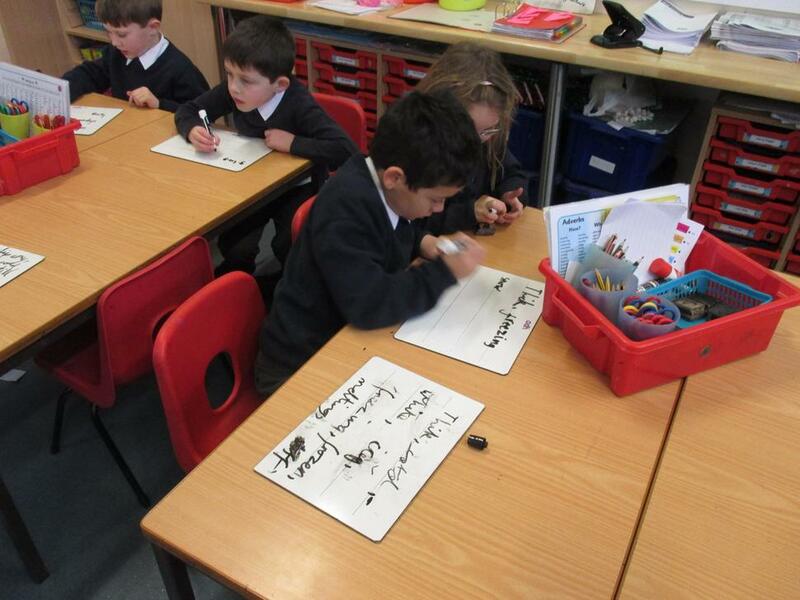 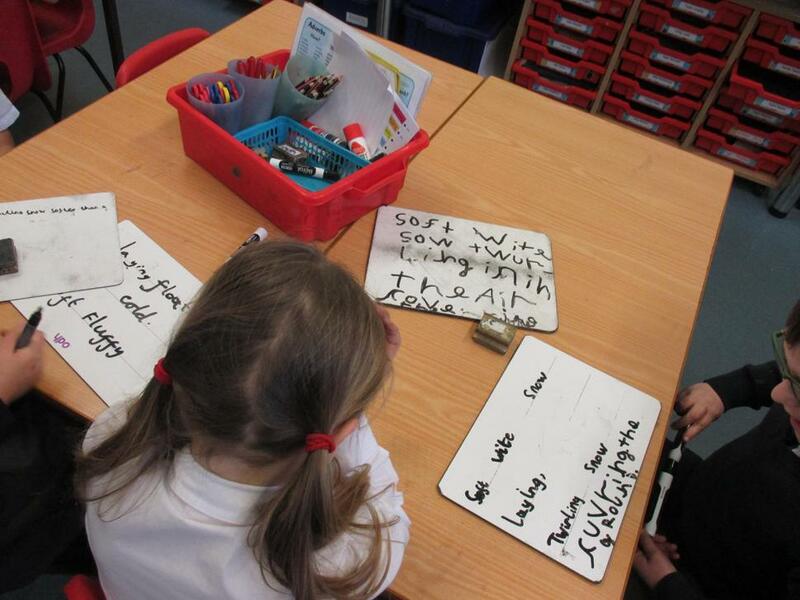 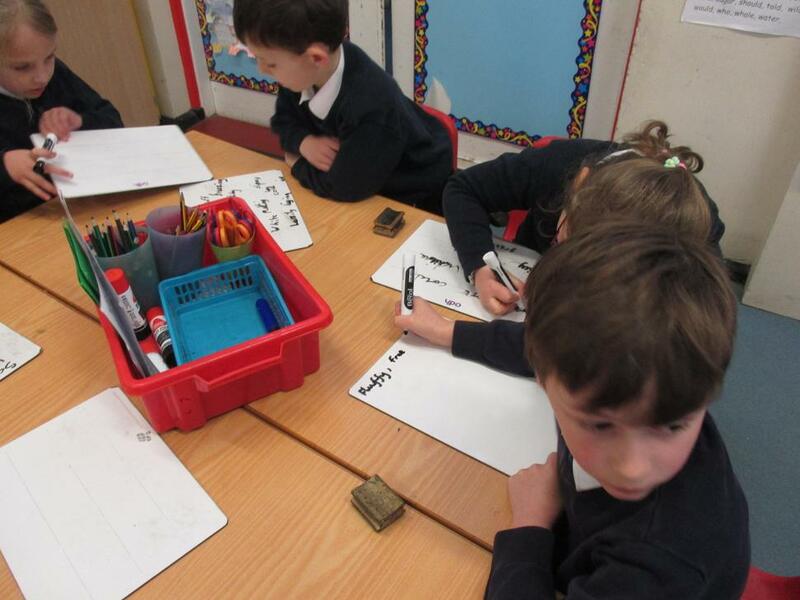 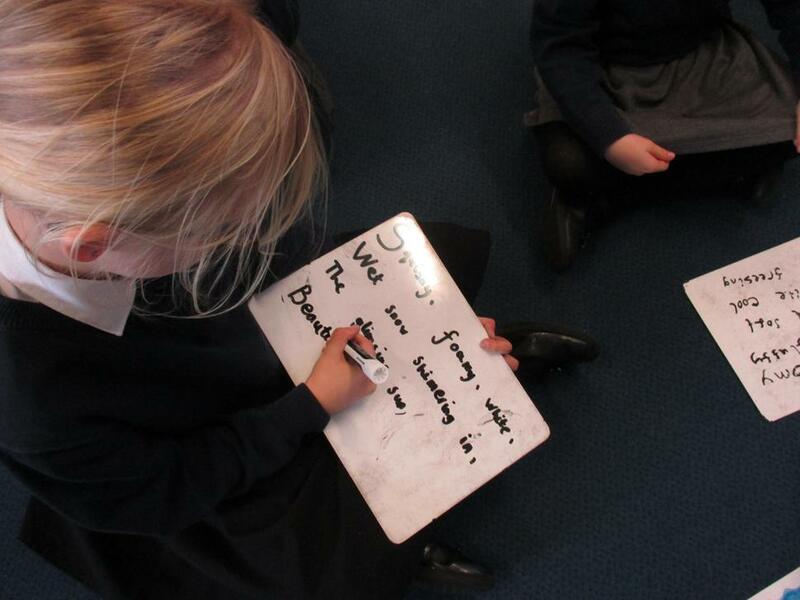 We wrote down adjectives, verbs and adverbs. 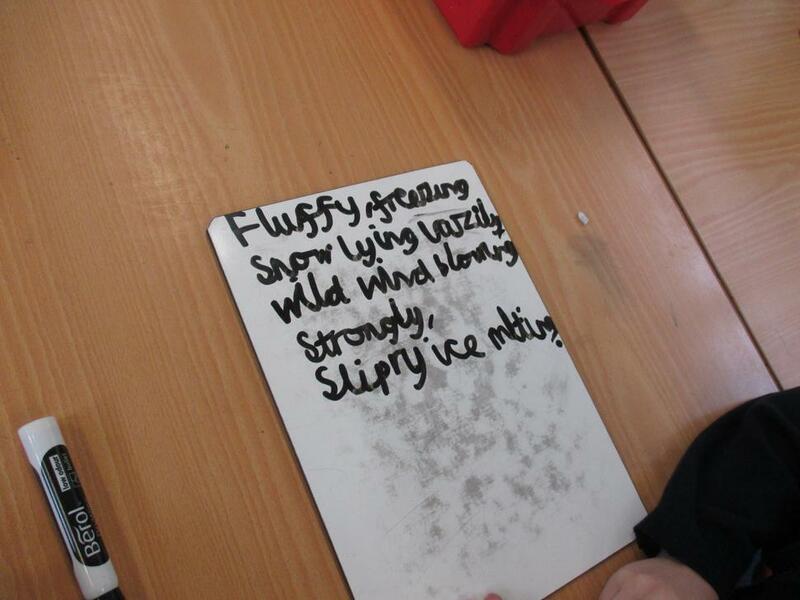 We then went back into class to put these ideas into poems (which is what we've been working on in English this week). 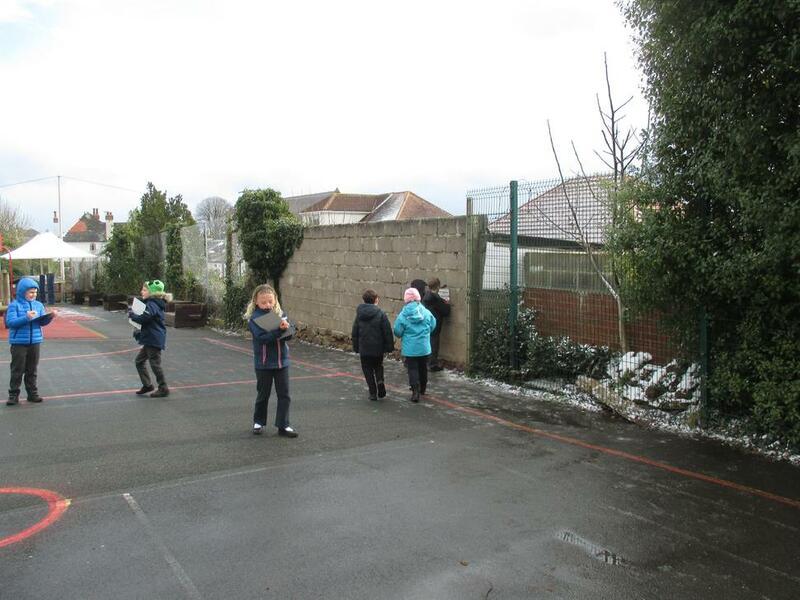 It was brilliant fun and nice to spend a bit more time celebrating the snow, even though most of us did complain that it was way too cold when the bitter wind started blowing! 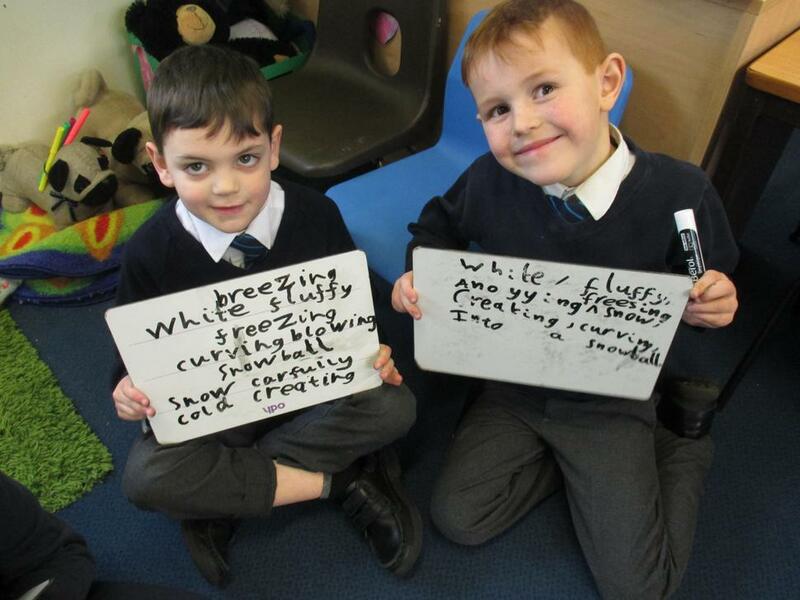 Have a look at part of our Wednesday afternoon.